The Matatiele Grain Company (Pty) Ltd (MGC/ GRAINCO) is a black commercial farmer-owned company. The business is a private company, which was registered in 2014 (Reg. Nr 2014/194546/07). The company was formed to service a grain cluster established by the Masisizane Fund (an Initiative of Old Mutual) to develop and cluster grain growers in order to achieve economies of scale and exploit the grain value chain. “Matatiele Grain Company was established to provide mechanisation services, which are critical to any grain cluster. The primary role of the company is to hire out agricultural plants and equipment to its members and the external market at affordable rates, which may not be afforded by smallholder farmers,” explains the Chief Executive Officer, Wandisile Makwabe. The Alfred Nzo District Municipality is the company’s main area of operation, and some work is performed in the Harry Gwala District Municipality. There are plans to expand to the OR Tambo, Chris Hani and Joe Gqabi District Municipalities. 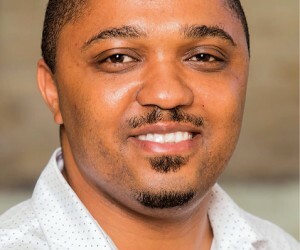 “Our vision is to be the preferred and ever-growing agricultural plant and equipment hiring company that is owned by black commercial farmers within the Alfred Nzo district borderlines by 2020 by any measure,” says Makwabe. He explains that there are a number of new global trends and standards that they are currently witnessing in the agricultural sector. “We’ve witnessed volatility of the commodity price, markets and exchange rates; policy uncertainty, due to land debates, resulting in the instability of the sector and a shift in programme support for farmers; and an ever-increasing demand for food security and, more alarmingly, ever-increasing occurrences of food insecurity. Additionally, we are also seeing a lower output of research and development and an influx of technology in the sector,” says Makwabe. “New technologies have definitely played an important role in the agricultural sector by enhancing operations significantly and reducing operational costs. More importantly, with the introduction of technology and the understanding of the importance of food security, youth participation has improved. The agricultural sector has many opportunities for new young farmers and it is important that young people are interested in farming. Where there is technology, agro-processing, logistics and retail, agriculture attracts a lot of youth. Technology has enabled Matatiele Grain Company to employ youth and has enhanced the overall efficiency,” he adds. 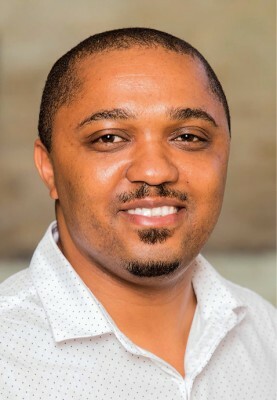 Makwabe considers price and economic issues (demand and supply), adverse risks such as climate, crime and genetic improvements of cultivars to withstand adverse risks as the biggest issues that the grain, seed and feed industries face globally. He also believes that the greatest challenges smallholder farmers face in terms of being successful are access to affordable finance, a lack of agribusiness skills, access to productive lands and security of ownership, access to sustainable markets and an inability to meet value chain requirements due high barriers of entry. “There are very few black-owned mechanisation companies in the country and the sector is the most untransformed, with the black ownership in various companies being less than 25% overall. Inputs, markets and finance are monopolised to lock out poorly resourced smallholder farmers who are at the start-up stage,” says Makwabe. “Agriculture drives growth in communities. In rural areas, agriculture is the key economic activity and driver, it employs more people seasonally than any other sector. The sector creates wealth that is passed on to generations as it is built around a fixed and movable asset model,” he adds. Matatiele Grain Company was one of the recipients of the Masisizane Fund that provided the initial capital investment towards the procurement of mechanisation for the company. The Masisizane Fund mobilised resources from various partners, which includes the National Department of Rural Development and Land Reform that also funded the company. In total, the Masisizane Fund has invested over R34 million and the National Department of Rural Development and Land Reform, through its partnership with the Masisizane Fund, invested over R17 million into the company. Lastly, the Masisizane Fund provides continuous business support to the Matatiele Grain Company. “One of the biggest challenges facing smallholder farmers is their inability to benefit from economies of scale. This makes farming expensive and prevents smallholder farmers from becoming competitive players in their industry. In addition to the personal success of the co-operative farmers in Matatiele, the farmers of Matatiele GrainCo are also reaping the benefits of large, cost-effective agribusinesses. Farmers receive the best service from top-class machinery and equipment at affordable rates. The company is locally based and easily accessible to the farmers. This effectively allows emerging farmers to not only enter the agribusiness value chain, but to be competitive in the market as well,” Makwabe explains. The Masisizane Fund is assisting the Matatiele Grain Company with the management of the operations and ensuring governance is adhered to. Currently, a business plan to take the company forward and which outlines other components such as grain storage and farming to diversify revenue streams, is being developed with the assistance of the Masisizane Fund. “Matatiele GrainCo strives to become a world-class and leading mechanisation and agricultural products transporting company that renders the best services to clients through the sharing of information, knowledge and skills. “This will be achieved by optimising time, cost and quality in all services offered. Our slogan is ‘Standing by you, with you, for you—always’, and we strive to adhere to it,” concludes Makwabe.